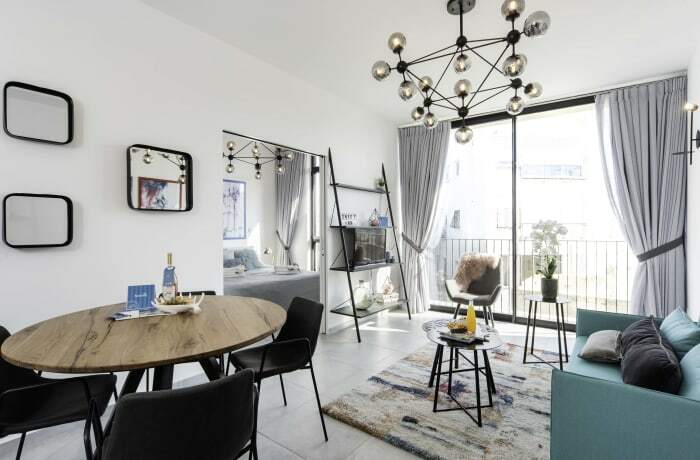 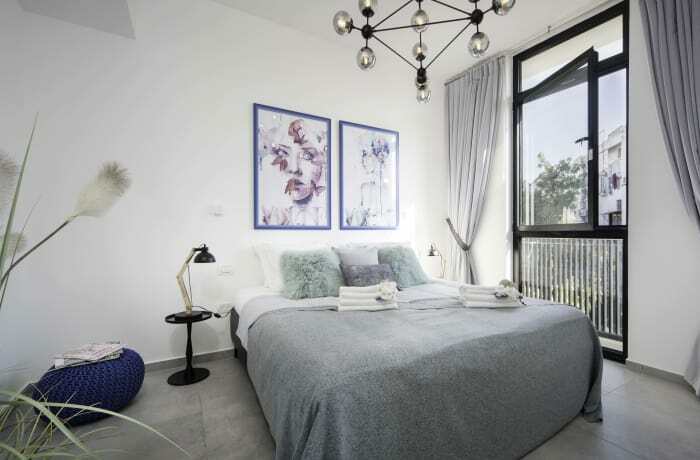 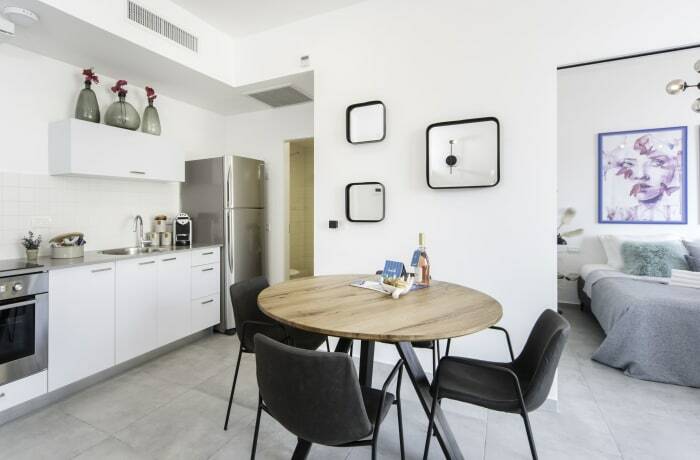 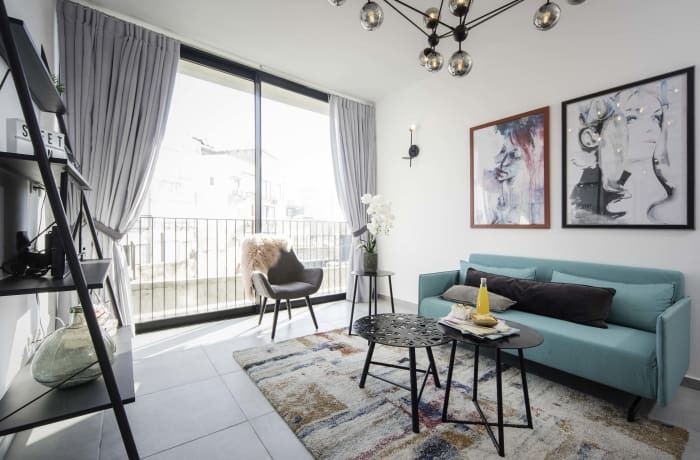 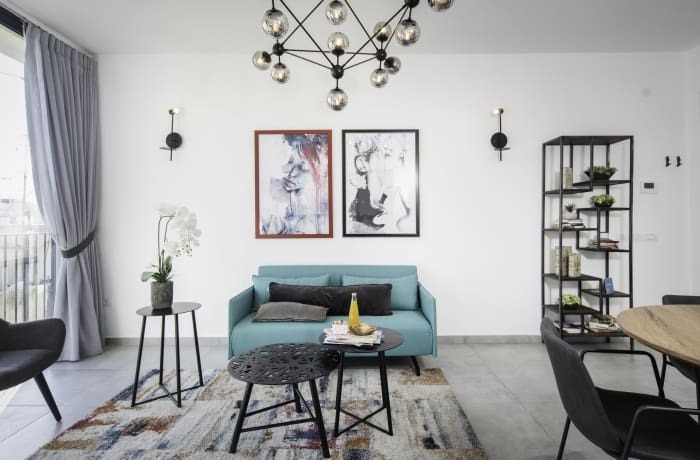 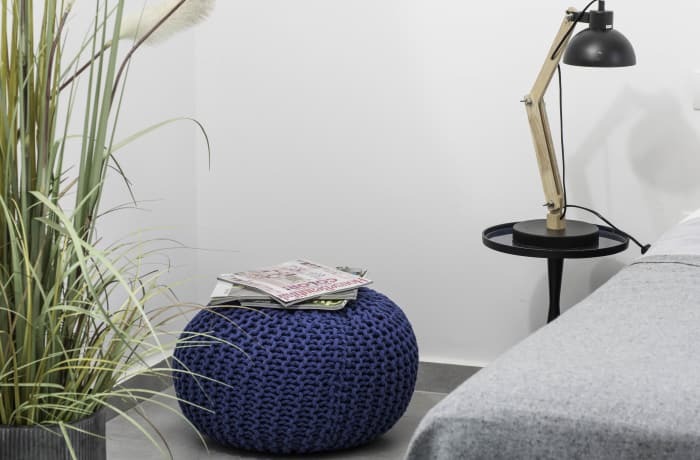 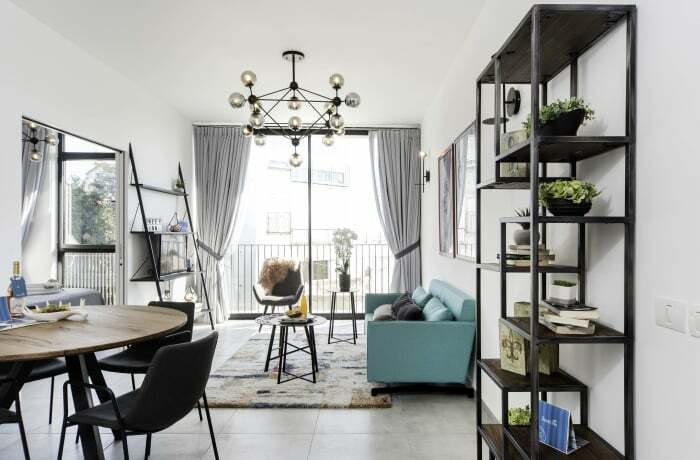 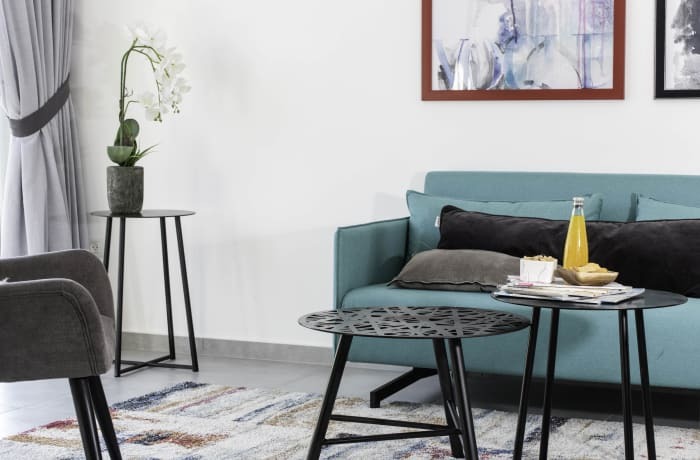 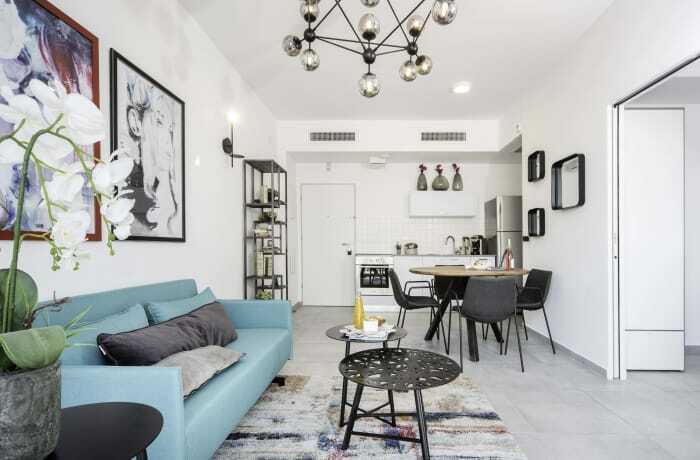 Located in Tel Aviv’s vibrant city center, minutes from the beach, the 1-bedroom Allenby IV vacation apartment offers guests a stylish, comfortable home away from home. 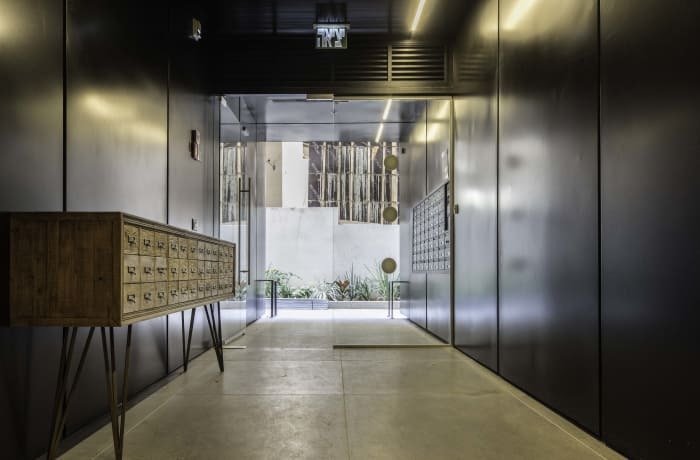 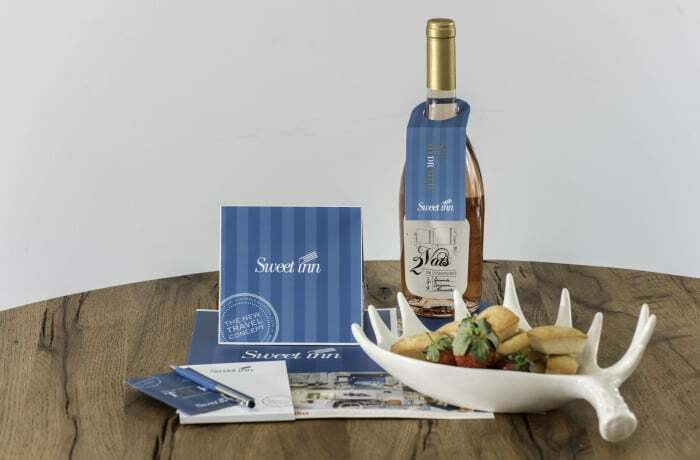 At your doorstep you’ll find great restaurants, bars, shopping, and nightlife. 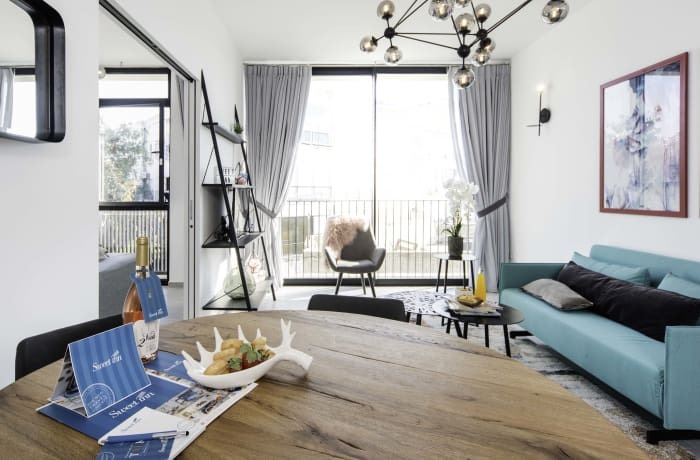 The beach is close (2 min) and you’re around the corner from some of the city’s most famous attractions, including the Bialik House (5 min), the Rubin Museum (5 min), and the Carmel Market (5 min). 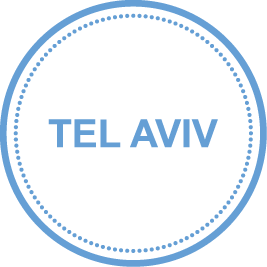 Buses, taxis and minivans run along Allenby to the Tel Aviv Port, the Old Central Bus Station, and anywhere else you may want to go. 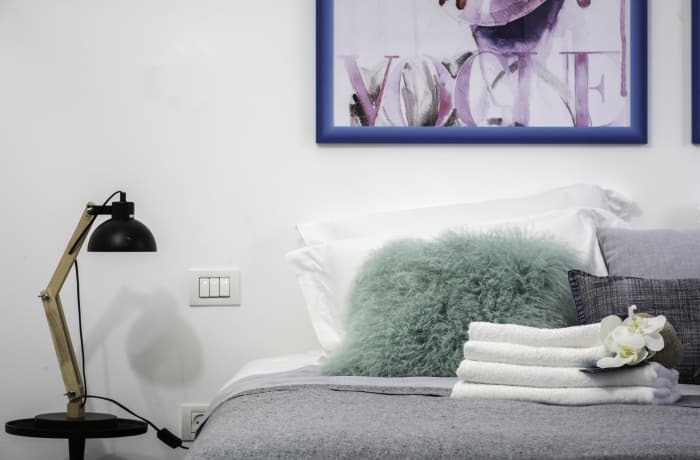 Refurbished and decorated by our local interior designer, this artsy apartment has a playful yet modern flair. 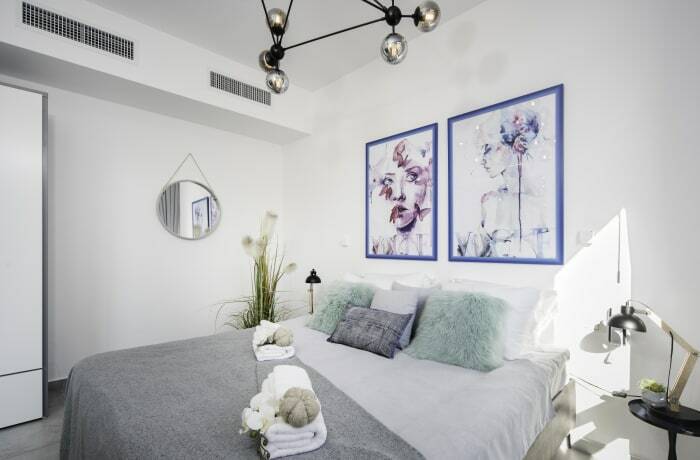 Guests will love the whimsical wall art and the vivid splashes of color. 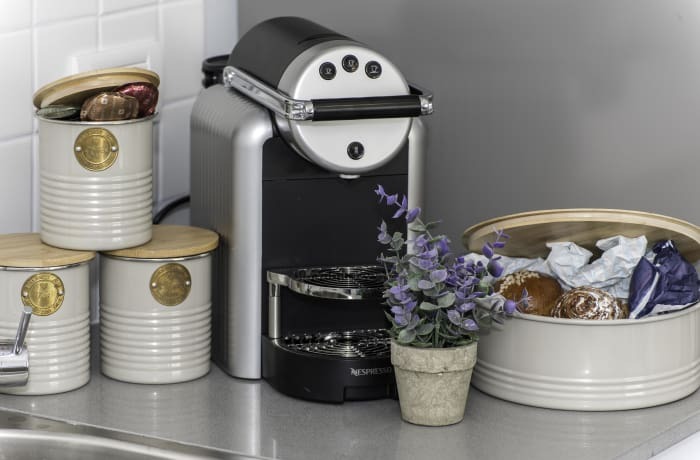 A fully equipped kitchen has everything you need for gourmet dining at home. 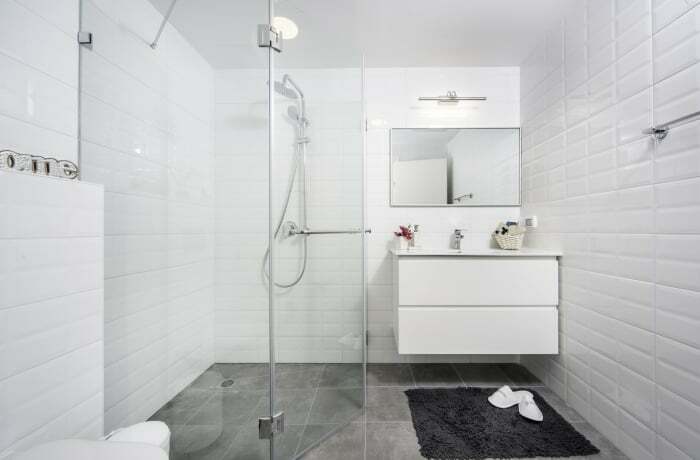 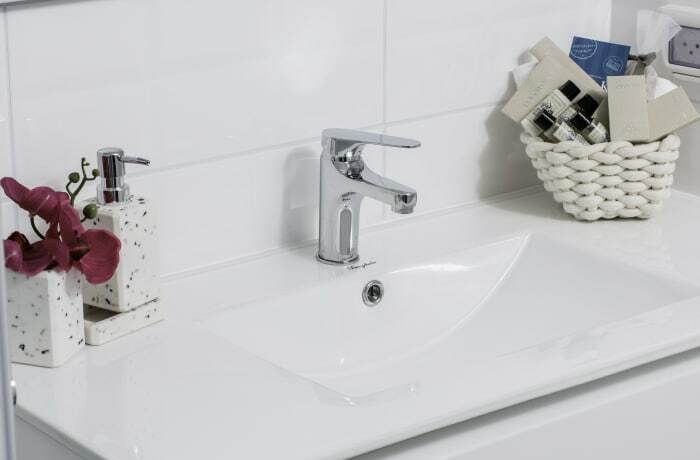 Premium amenities include free WiFi, cable TV, hotel beds and linens, luxury toiletries, and a Nespresso machine. 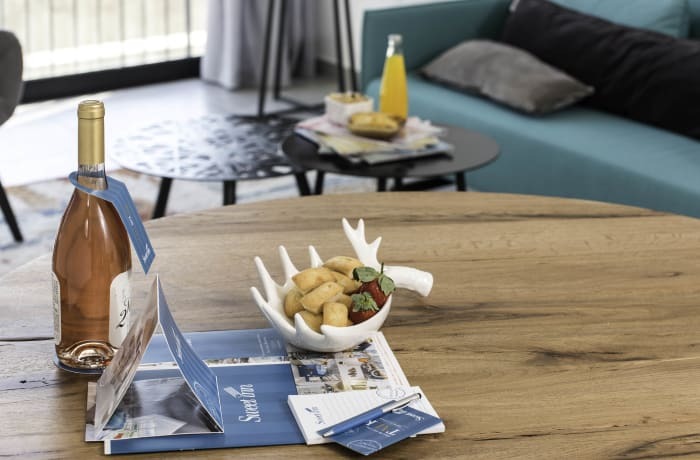 Perfect for couples or solo travelers, this is a sophisticated haven in the heart of the White City.